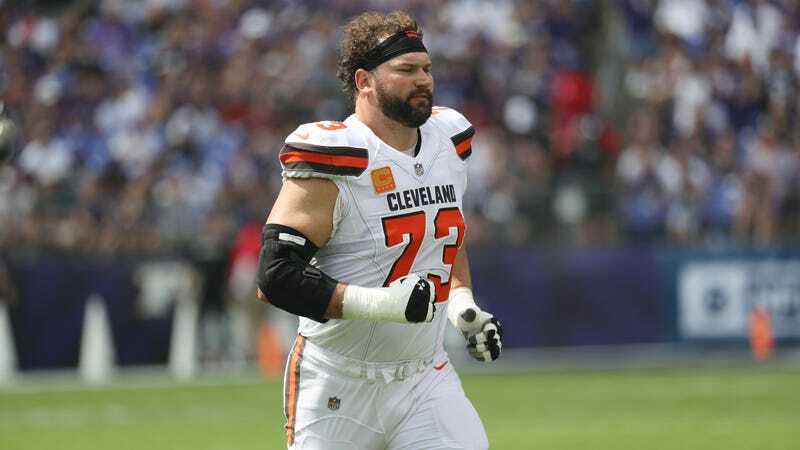 Cleveland Browns offensive lineman Joe Thomas has made history by experiencing more uninterrupted disappointment on the field than any other NFL player. A first-quarter nine-yard run for Isaiah Crowell gave Thomas his 10,000th consecutive snap in his 11th career season, though he would have gotten there sooner if his team had ever reached a playoff game. In his time served, Thomas has played through a grade-two LCL tear, three MCL strains, and two high ankle sprains, all for the honor of being a Cleveland Brown. After Thomas reached the milestone, there wasn’t much of an acknowledgement; the achievement was mostly celebrated after the game. The 10,000th snap came on a Browns drive which ended with a sack-fumble. *Correction: They won seven in 2014. I apologize for underestimating the Browns. Myles Garrett Is Realistic About The State Of The Browns: "I Can&apos;t Be A Savior"